Jesper Kyd is a critically acclaimed composer, so it comes as no surprise to folks that he really loves music. This started when he was just a kid. He began playing the piano and the classic guitar, thereby sparking his passion for harmonies and melodies. His love for music continued to grow, as he did. When he got his first computer – a Commodore 64 – at the age of 13, he started composing electronic music. By the age of 15, he owned his own keyboard – a Roland D-20. His compositions continued with all of his musical accoutrements. In his own words: I've always loved experimenting with electronics and creating unique sounds. Jesper Kyd has many bands that he admires. Some of the most notable influences on his own composition styles include classical composers in Ottorino Respighi, and Igor Stravinsky. Other bands like Royksopp and The Knife played a big part in helping him to create his own melodies. For Jesper, it's all about the feeling, and he admits to being drawn to the emotion of the music. The essentials of music are what make it so thoroughly enjoyable for him to work with. He finds inspiration in all of his projects – whatever they may be. Jesper Kyd is particularly fond of the online gaming world – MMORTS games, television, film and the like. The inspiration that he derives from these types of projects is second to none. For him, music is all about being able to inspire ideas and creativity. He is of the opinion that music serves the same purpose in every game – regardless of genre or even the platform. For Jesper, music sets the mood and heightens the experience, by adding atmosphere and an immersive experience. Jesper knows from personal experience that players are more inclined to play the game for much longer when the music flirts with their emotions. Jesper uses the classic example of playing a game with captivating music, and wanting to stay in the gaming world that much longer… It may well be that extra time that allows you to conjure up something new or to find what you’ve been looking for while you’re playing and enjoying the game. This entire process is the same regardless of the game you're playing. 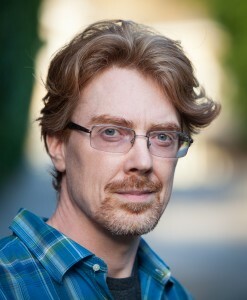 Jesper Kyd typically works with the audio director, creative director or even the game director. Together they discuss precisely what the music needs to be doing, in conjunction with the overall game story and all the characters. Sometimes, Jesper is directly involved in the action and he decides how the music will be applied in the game. At other times, much of the musical score would have been sorted out already before he's even brought in to put it all together. In any event, Jesper Kyd loves being involved. And it's a pretty time-consuming process – anywhere from 3 months to 9 months to compile, all depending on how early he’s brought into the process. The volume of music that is required is also a big factor in determining how long it takes to put it all together. Jesper admits that it's not uncommon for him to write 3 hours of music for one project. For Jesper Kyd, there is no real crowning achievement. Every project that he undertakes is in itself an opportunity to derive more knowledge. It also allows him to understand new ways of thinking, and pushing his musical prowess to the next level. He believes there is always room for improvement and by listening to his music, his creative juices develop and evolve further. Despite Jesper's reluctance to call it a crowning achievement, his musical score on the first 4 Assassin’s Creed games were a remarkable achievement. He is delighted to know that the gaming community relishes the Ezio’s Family musical score and connect deeply with it. His music transcends the gaming world and actually creates a bridge between the players and their in-game characters. Jesper Kyd is not content to simply stagnate in any particular genre, so he has made a move to social games. One of the world's most prestigious social games developers – Plarium - contracted Jesper Kyd to create unique music for its games. No doubt Jesper will be working feverishly on all sorts of projects in the future. He maintains that it's all about working with creative people in a fun-filled environment with lots of enthusiasm and energy.